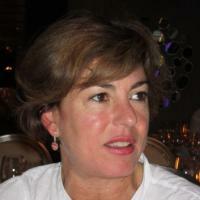 Since 2001, Dr Elena Santagostino has been the Director of the Hemophilia Unit for adult and paediatric patients with inherited bleeding disorders at the Angelo Bianchi Bonomi Hemophilia and Thrombosis Centre of the Cà Granda Foundation, Maggiore Hospital Policlinico of Milan, and Contract Professor at the School of Clinical and Experimental Hematology, University of Milan, Italy. Dr Elena Santagostino graduated in Medicine in 1987 and subsequently specialised in Experimental Haematology and Internal Medicine at University of Milan. She was Clinical Assistant at the Angelo Bianchi Bonomi Haemophilia Centre between 1992 and 2000. She has been actively engaged in clinical research into the treatment of hemophilia and its complications and, in 2000, earned a PhD in the management of hemophilia at Maastricht University, the Netherlands. Dr Santagostino is Co- Chair of the Scientific and Standardization Committee on factor VIII and IX and Member of the Executive Committee of the European Association for Haemophilia and Allied Disorders. She acts as a reviewer for the Journal of Thrombosis and Haemostasis, Blood, Haematologica and Haemophilia. Clinical studies in which she has played a major role have been reported in more than 170 articles in peer-reviewed journals. During her career, Dr Santagostino has been the recipient of several awards for her research and presentations. 1. ME. Mancuso, L. Berardinelli, C. Beretta, M. Raiteri, E. Pozzoli, E. Santagostino. Improved treatment feasibility in children with hemophilia using arteriovenous fistulae: the results after seven years of follow-up. Haematologica 94: 687-92, 2009 (I.F. 5.52). 2. E. Santagostino, ME. Mancuso, A. Tripodi, V. Chantarangkul, M. Clerici, I. Garagiola, PM. Mannucci. Severe hemophilia with mild bleeding phenotype: molecular characterization and global coagulation profile. Journal of Thrombosis and Haemostasis 8: 737-43, 2010 (IF 6.29). 3. A. Coppola, MN. Di Minno, E. Santagostino. Optimizing management of immune tolerance induction in patients with severe haemophilia A and inhibitors: towards evidence-based approaches. British Journal of Haematology 150: 515-28, 2010 (I.F. 4.49). 4. Mannucci PM, Mancuso ME, Santagostino E. How we choose factor VIII to treat hemophilia. Blood. 2012; 119: 4108-14 (I.F. 10.55). 5. Mancuso ME, Mannucci PM, Rocino A, Garagiola I, Tagliaferri A, Santagostino E. Source and Purity of Factor VIII Products as Risk Factors for Inhibitor Development in Patients with Hemophilia A. J Thromb Haemost 2012; 10: 781-90. 6. Santagostino E, Negrier C, Klamroth R, Tiede A, Pabinger-Fasching I, Voigt C, Jacobs I, Morfini M. Safety and pharmacokinetics of a novel recombinant fusion protein linking coagulation factor IX with albumin (rIX-FP) in hemophilia B patients. Blood 2012; 120:2405-2411. 7. Oldenburg J, Jiménez-Yuste V, Peiró-Jordán R, Aledort LM, Santagostino E. Primary and rescue immune tolerance induction in children and adults: a multicentre international study with a VWF-containing plasma-derived FVIII concentrate. Haemophilia 2014; 20: 83-91.